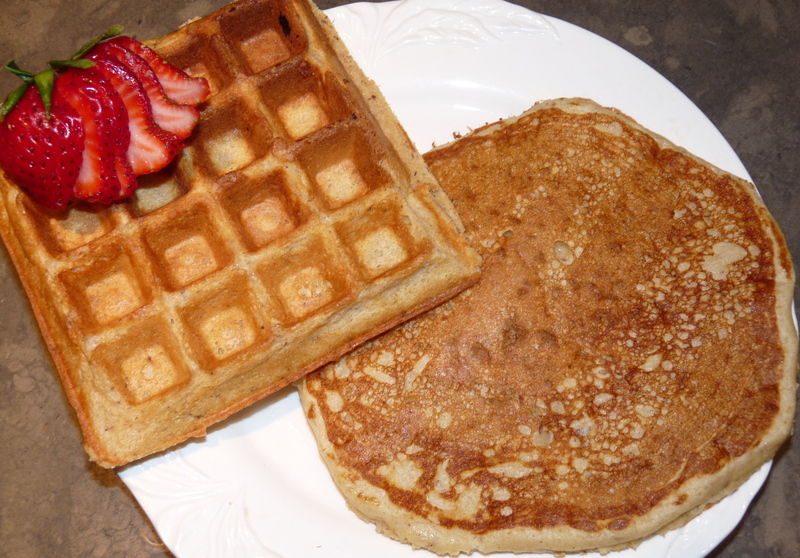 Are You Living A Pancake or Waffle Life? While talking about what it means to “live such good lives” we started talking about the separation that happens so often between our church lives and work lives. We discussed how it is almost normal to have work friends who never interact with our church friends. Our work friends may know we are a Christian, but we still won’t combine these two areas of our lives. Maybe I am the only one who is guilty of this, but I doubt it. My friend said something to the point of, “It’s like the difference between pancakes and waffles.” At the mention of food, my ears perked up and I asked him to explain what he meant. He said it like it was a common expression, but I had a hunger (pun intended) to learn more about this analogy. He said that with waffles you can decide what each little area of the waffle will contain. If you are in the mood for a little chocolate, but not too much then you can put chocolate chips in just a few of the squares while the others you can use butter, jelly, honey, syrup or anything else that excites you that morning. If you ordered a pancake and tried the same thing, you might just end up with a giant conglomeration of mixed flavors. Could you imagine a chocolate, strawberry jelly, butter, syrup and honey waffle, maybe with a little peanut butter too? Yeah, that’s pretty gross, even for me and I think peanut butter can cover a multitude of cooking sins. I have heard many talks and sermons about compartmentalizing your life and how Christians should act the same at all times, so that the non-Christians in our lives can see the light of Jesus shine through us, but until Sunday I had never thought about it this way. Back in college we had a Belgian waffle bar and I always loved making a waffle with each 1/4th of the waffle with a slight variation. I never knew that I make my waffles like I live my life. While living in Maryland I tried my hardest to keep my work life separate from my church life and actually got upset when the two merged. I didn’t want to have to justify my actions to either set of people. I was worried people would view me as a hypocrite. What I didn’t realize is that, like my pastor said this past Sunday, I am a hypocrite and I need to confess that. I am constantly saying what I should be doing according to scripture but I don’t always live that way. What if we lived a pancake life, where no differences could be found? What if we lived a pancake life according to the Bible? How would other’s lives be different? Lets all go out and make a conscious effort to live a pancake life with God as our center and see what difference it makes for us and those around us.